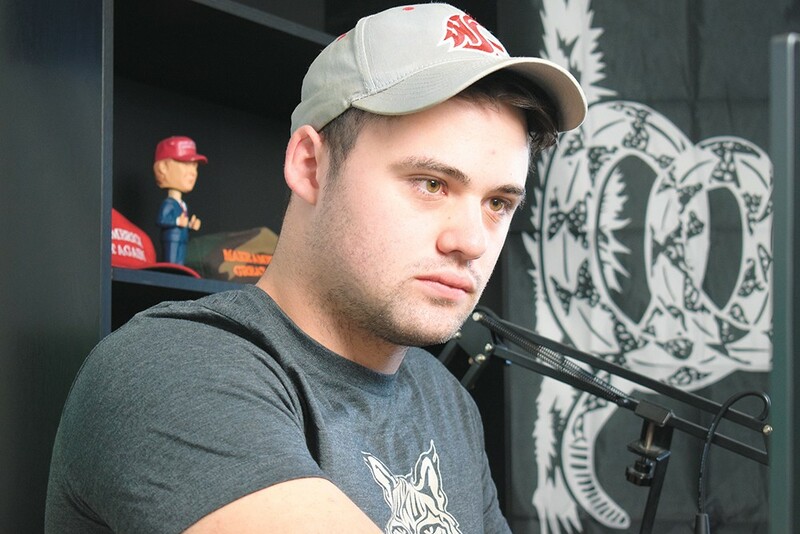 Citing his involvement with white nationalist groups, Whitman County Republican leaders stripped alt-right activist James Allsup of his precinct committee officer seat and voting authority on Saturday, seven months after his uncontested election to the minor party position drew national headlines. John Brabb, state committeeman for the Whitman County GOP, says the former Washington State University College Republican president had "dropped off the deep end" and aligned himself with hate groups like Identity Evropa that do not reflect the party's values. "Identity Evropa has a policy of ... taking advantage of the PCO system and conquering a party from the bottom up," Brabb says, later reading aloud an interview in which Allsup called the PCO position a "means to an end." Allsup did not attend the meeting, but later posted his disappointment with local leaders to Facebook: "The future of the American right — if it is to have one — is nationalistic & identitarian in nature." As a precinct committee officer, Allsup would have performed community outreach and voted on party positions. While party leaders cannot revoke his "certified" status from the election process, they have refused to seat him and plan to appoint a precinct committee captain to take over his duties. In the unanimous vote, several county and state officials condemned Allsup's attacks on fellow Republicans, his increasing ties to white nationalism and his participation in the 2017 "Unite the Right" march alongside Nazis in Charlottesville, Virginia. "His beliefs have no place here," Whitman County Prosecutor Denis Tracy said during the meeting. "He's got no place here. ... He should be voted out." The original print version of this article was headlined "'The Deep End'"